Cholesterol alcohol is about effective ways to control blood fats. Cholesterol alcohol is about one very pleasant way to help control your raised unhealthy blood fats. A glass of red wine is surely one of the best ways to optimise your blood cholesterol. In fact, most of the ways of getting your LDLs in order are simple and tasty; just read on. And when you discover what statins can do to one, you'll take this page a lot more seriously. Interestingly, most of the material relating to raised blood fats, and that about the LDL and HDL fractions out of kilter, are equally relevant to those suffering from constipation; they have very similar underlying causes. Thus, when you're finished with reading this page, take a look at quick constipation relief. One is friendly, called an HDL, or High Density Lipoprotein. The other is distinctly unhealthy; it's called an LDL. You can guess that L stands for low. lowering our LDLs; and a glass of red wine is part of the solution. It’s really not that difficult, and it's vitally important if you don’t want to suddenly have a mid life crisis. Actually, it won’t be your problem; it’s your family that will suffer when you pop off unexpectedly at 45. Why should this be important to a chiropractor? Many years ago a patient, to whom I should have been more forthright, died suddenly at 45 and, as I afterward realised, quite expectedly. His wife later became my secretary, and I was constantly reminded of how I, and a few other doctors, had screwed up. In chiropractic we are concerned about your whole health. What you eat, whether you exercise, cholesterol alcohol, taking holidays; it's all important, and perhaps just as relevant as clearing subluxations from your spine. Perhaps it's more important. This guy's got the right idea, eh! 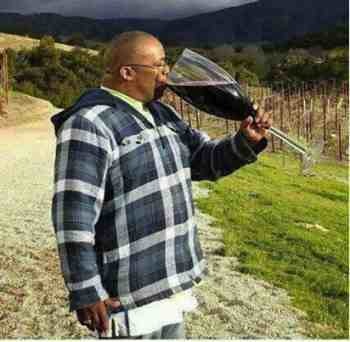 Just one glass, right! Cholesterol alcohol control of blood fats, especially with red wine, reduces the risk of heart disease. Every chiropractor I suppose, with any experience, will have had a middle aged patient whom s/he successfully treated for some spinal condition, but who died suddenly the following week from a quite unexpected heart attack. Such a waste of human life, because it's so preventable. Did you know that heart attacks were almost unheard of 150 years ago? The first time it happened to me, I vowed I would never again avoid the issue of cholesterol with patients just because it is uncomfortable for us both. Just like you may be feeling right now! Alcohol in moderation, particularly red wine, is part of the solution. Whilst I would never advise anyone to start drinking alcohol to lower their cholesterol, if you enjoy a tipple, a glass of red wine should be part of your cholesterol alcohol regimen if you are at risk. One - there is no increased benefit from two glasses, in fact possibly less benefit. Please remember, excessive drinking, also known as alcoholism is extremely unhealthy and dangerous; so much so that specific alcohol rehabilitation programs exist to help problem drinkers achieve sobriety. Step one is simple. Have a blood test and find out what your risk profile is. Perhaps your HDLs and LDLs are fine, and you need read no further. Hooray! More likely, if you live in a western society, you may be in for a shock. Interesting research found that after 15 years, the same percentage of persons with high cholesterol were still alive, whether treated with statins or not treated at all. But they died of different diseases. True, those taking medication for cholesterol had a lower rate of heart related deaths but a higher rate of sudden violent death. This is not well understood, but it's assumed that severe lowering of cholesterol changes the essential neurotransmitters in the brain, affecting personality and thought patterns. Better still, lower your cholesterol naturally, then you won't lose your marbles; Alzheimers patients all have high cholesterol. Also you're far less likely to have a heart attack or stroke, or die violently. These are the fats in your blood that are good for you. Yes, in part, it's not only good, but vitally essential. The brain, and all your nerves are made mainly of that important dietary fraction that today we eschew; you can’t live without fat. High density lipoproteins are the healthy fats produced by the liver to carry cholesterol and other lipids from tissues and organs for recycling or degradation. Having high levels of HDL is desirable; they lower the incidence of atherosclerosis, or clogged arteries, and heart disease. HDLs are found in fatty fish, nuts, avocado, garlic, olive oil and freshly ground flax seed. Canola, too, but that remains controversial. So you can raise your HDLs simply by eating these delicious foods on a regular basis. This olive oil salad dressing will take you only five minutes to throw together. Need a Greek olive salad to go with your dressing?!! Zero cholesterol. In fact all the fibre in our olive garden salad recipe will make a serious dent in your LDL. Low Density Lipoproteins (LDL) carry cholesterol to the blood vessels and tissues and have been shown to contribute to the formation of plague, or atheroma, that clogs the arteries. That raises blood pressure, increasing the risk of stroke, heart attack and diseases associated with too little blood. Very low density lipoproteins (VLDLs) are very nasty. They are formed from sugar and alcohol in the diet. Hence one glass of red wine is excellent in its cholesterol alcohol effect, but the advantage is negated by more than one glass per day. Had a chocolate today? Better walk it off. It is questionable how much medication can raise your healthy HDLs. It can best be achieved by natural means. Red wine is considered medication by many! Think cholesterol alcohol! Vitamin B3 , part of the B complex vitamins, (called Nicotinic Acid) has been shown to lower the amount of cholesterol synthesised by your liver. What is particularly good about B3 is that it has a very powerful effect on raising HDLs and lowering blood Triglyceride fat , something drugs do less well. Nicotinic acid also lowers the bad LDLs. A B complex has been shown to have many, many beneficial effects. Take a capsule EVERY day, whether you have high cholesterol or not. I do. 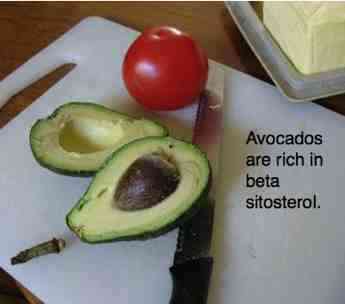 And perhaps discuss with your pharmacist on how to safely increase your B3 intake if you have high cholesterol. Having said all this, Medication is necessary in a small group of people who have a hereditary disease called Hypercholesterolemia. For the rest, unless you suddenly discover you are diabetic, have very high blood pressure and high cholesterol, try the natural methods first. The pharmaceutical industry, of course, would have you take medication for your raised cholesterol, but these medicines have side effects, some serious. Exposing 100 people to the side effects of statins to prevent one heart attack makes no sense, when it can be achieved far more safely by simple life style changes. If you simply can't stop smoking, and refuse to change your diet, then it's pills for you! With all the costs and side-effects. Beautiful eh, but she died aged 36! No more needs to be said really. You already know that smoking knocks on average about 10 years off the life of every smoker. 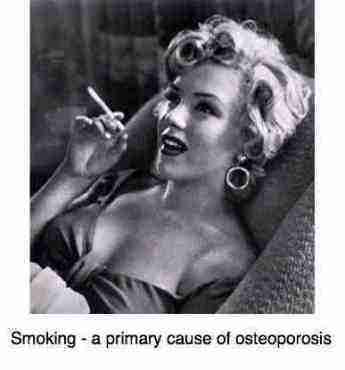 It has been proved that smoking, amongst other things, lowers the friendly HDLs. Even more so in women for some reason – it lowers HDLs by the huge amount of 10 mg/dL. Women smokers' hearts stop beating on average a massive 15 years before non-smokers. Only 8 years with men for some reason. Weird. Those who won't hear, must feel. Reducing the unfriendly fats in your diet really is important. A high saturated fat diet, mainly from red meat and dairy products, is strongly associated with many other diseases from bowel cancer, to Alzheimers and breast cancer. Now for the good news. Cholesterol alcohol. One or two drinks a day increases your HDLs by about 10 mg/dL. The bad news? Three drinks increases the risk of heart disease. 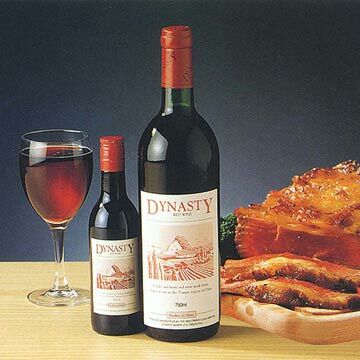 Cholesterol alcohol are intimately related, especially red wine. "All statins carry a risk of damage to the muscles of the body including the heart and the FDA also warns that mixing them with certain other drugs also increases your risk of the rare but serious complication known as rhabdomyolysis; it causes fatal kidney disease." Muscle pain, tenderness, or weakness, unexplained tiredness, dark or red-coloured urine? Erectile dysfunction? Chiropractic help has a lot to say beyond the importance of reducing subluxations and fixations in the spine; after all, if you drop dead from raised low density lipoproteins, where was the benefit of all that manipulative treatment? We are seeing an epidemic in our clinics of people suffering from muscle pain and tenderness. Pain on the side of the hips, pain in the calves, excruciatingly tender muscles in the groin, shoulder muscle pain. The first question? Are you taking statins? Did you know that new research shows that they actually weaken the heart muscle and cause atherosclerosis? Personally Chiropractic Help would rather suggest you take a glass of cholesterol alcohol in the form of a glass of red wine every night! Plus a walk periodically, change to olive oil, eat more fish, take an eggplant dish once a week... safer, cheaper, nicer and altogether more healthy. Folklore has it that the eggplant reduces cholesterol. A Brazilian study now confirms this. An infusion of eggplant in two healthy groups lowered LDL but had no affect on HDL. Just what affecting eating the whole fruit would have is anybody's guess, but presumably, fibre and all would have an even greater effect. There was a small but significant difference in total plasma cholesterol levels in individuals in the aubergine group between the beginning and the end of the 5-week experimental period. No difference was detected in the placebo group. It is interesting to note that this reduction in cholesterol was in those subjects whose plasma levels were very high (more than 240 mg%). What's more is that the beneficial effect only started to occur after a period of three weeks. So, one needs to eat aubergines / eggplant regularly for it to have an effect. A significant reduction in LDL levels was observed between the 3rd and 5th weeks. This reduction in LDL averaged 13.51% in the Egglant group, as opposed to 1.5% in the placebo group. There were no variations in blood levels of HDL. Conclusion: To get LDL cholesterol lowering benefit from Eggplant it seems that one has to eat it regularly, and certainly for longer than 3 weeks. So, make it cholesterol alcohol aubergine and you're another step healthier. A glass of red wine and an aubergine dish and you'll have the perfect cholesterol alcohol lowering dinner. "I enjoy wine with my cooking. Sometimes I cook with it!"